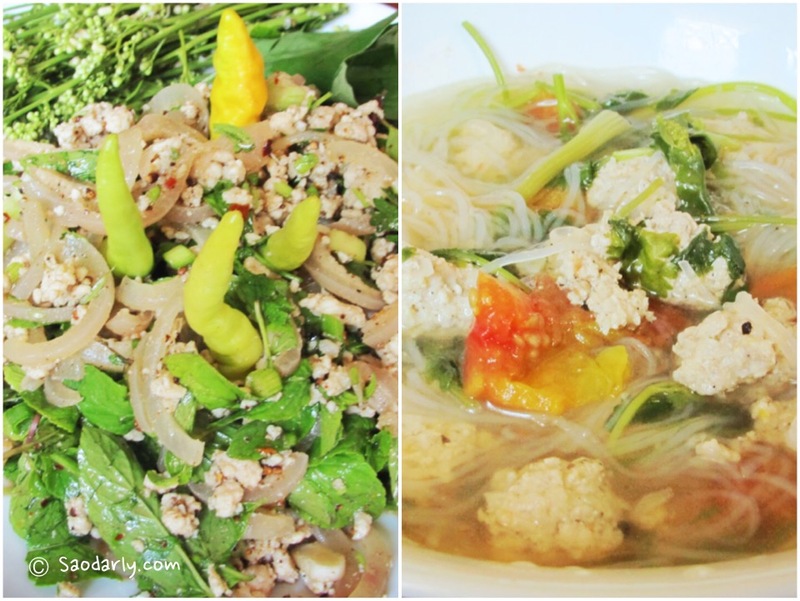 Lunch in Vientiane, Laos with Minced Pork Salad (Larb Moo; ລາບໝູ) and Cellophane noodles Soup with Pork Meatballs (Kaeng Sen Lon; ແກງເສັ້ນລອ້ນ). 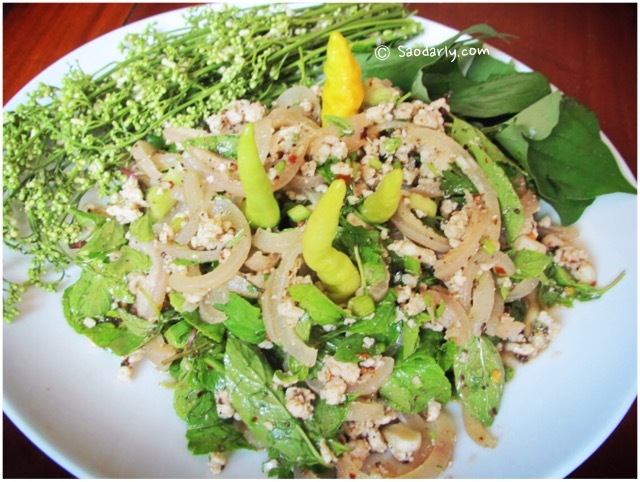 Aunt Phone loves to eat pork, especially in the form of Larb moo. She usually makes pork soup with vegetables using pork bones or pork ribs. 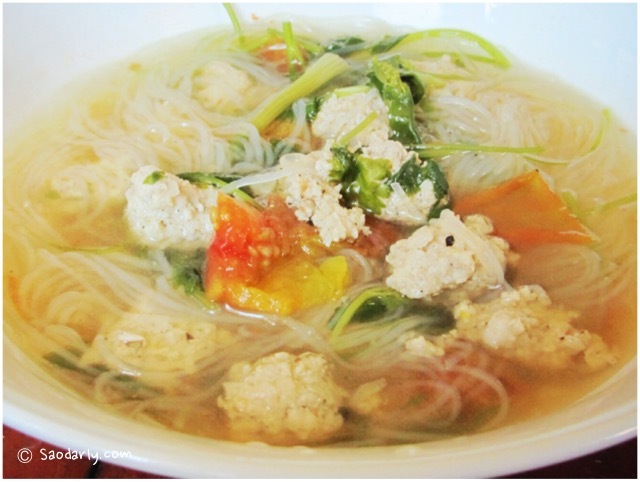 For today, my aunt wanted something different and decided to make the pork soup with cellophane noodles. Interestingly, Aunt Phone doesn’t refer to the Minced Pork Salad as Larb Moo. She calls it Koy Moo or Koi Moo and said that’s how Tai Pakse (people of Pakse City in Champassak Province) refer to the dish.